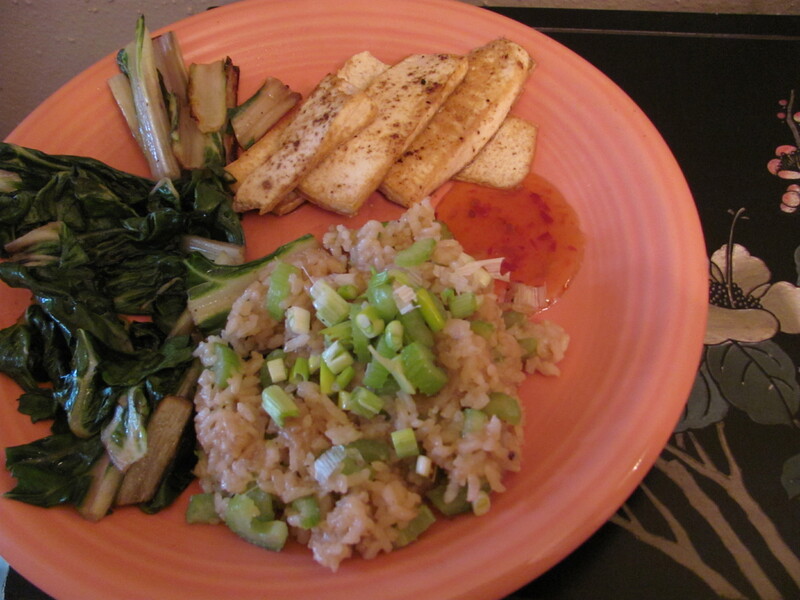 The longer answer, and what this blog is intended to do, is demonstrate that if you cook in regional cuisines that don’t use wheat–specifically Thai, Chinese, Japanese, Mexican, Ecuadorian, and old Irish and Scots recipes–you don’t need all the fillers and workarounds to make good food. The three big things that are added are potatoes, masa, and rice flour. 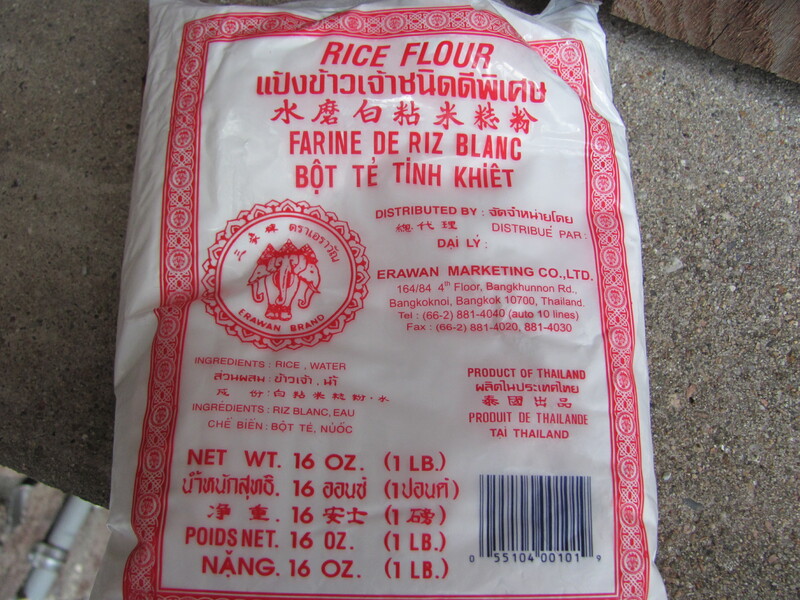 If you’re buying rice flour it should be from Thailand. It’s too hot to grow wheat in Thailand, so if it’s milled in Thailand, it’s rice. It’s also less than $2.00 a pound U.S. 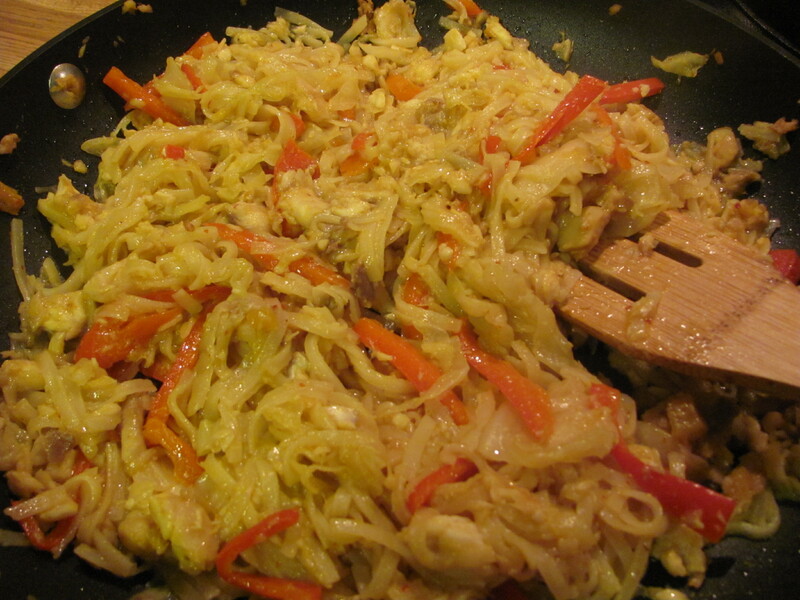 O.k., well, it’s not entirely Thai: that is sort of the point–you should be able to substitute ingredients to use what you have on hand. In this case, that means I substituted swiss chard where you could also use broccoli rabe, chinese cabbage, or collard greens. The recipe starts where a lot of my favorite recipes start, with organic, no preservative bacon for breakfast. Leave the bacon grease to cool in the pan in which you cooked it.